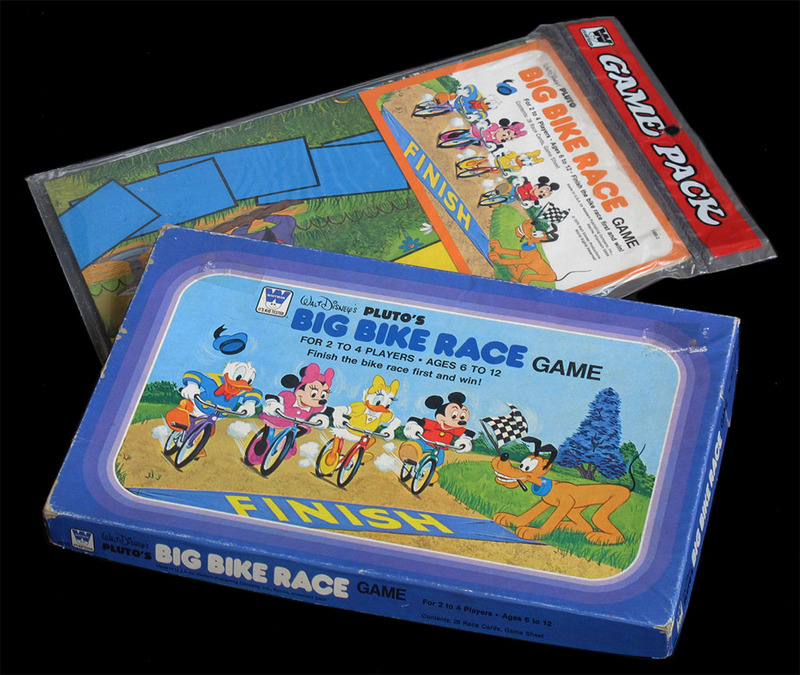 Here is a a different cycling game. 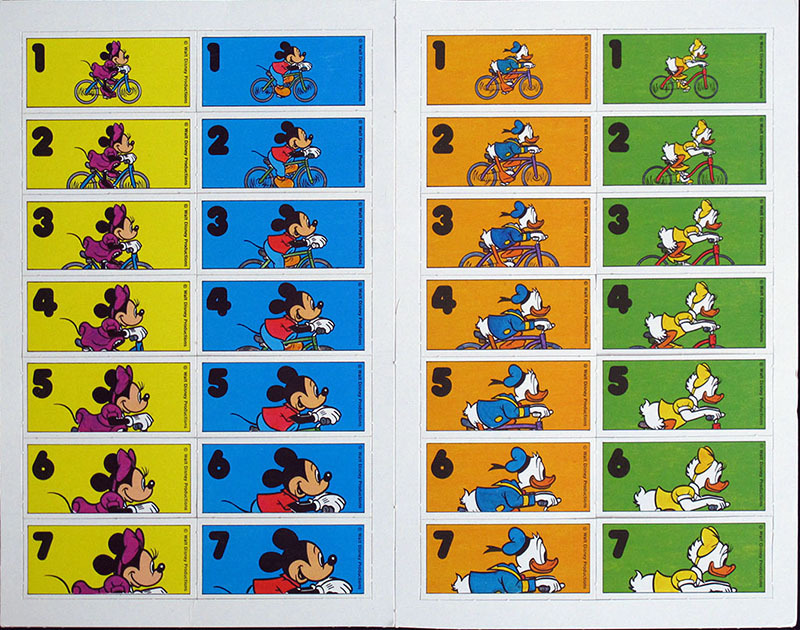 As you can see, there are two versions, one of them marketed in a regular game box and another that comes in a a plastic bag containing the folded board and the cards. 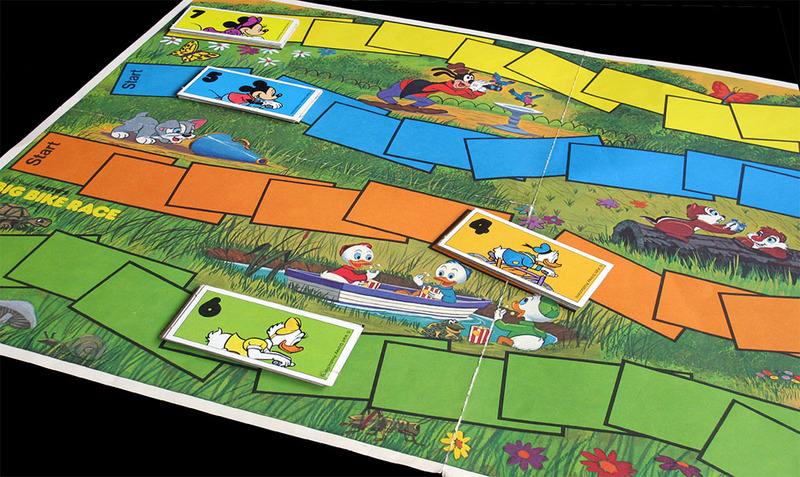 The contents of both versions are the same, the board being made of thin cardboard in in both cases. Unfortunately for the owners of the unboxed version, the bag is not well suited to store the cards once you have punched them. 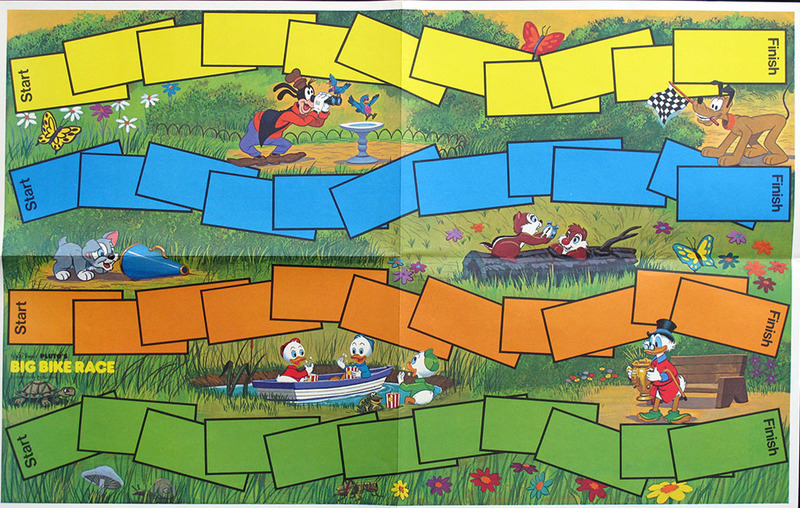 The board, of course, does not look like a race track or a circuit. This race is rather a sprint through the woods. The best of the game are the unusual rules. This is a bluffing game. 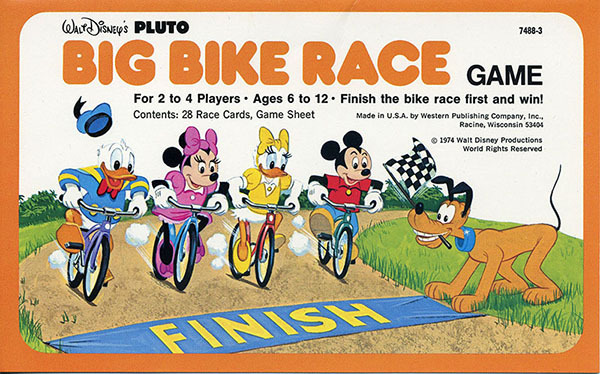 As far as I know, the only cycling race represented by a bluffing card game. It may be a kids' game, but it is not a childish one. As you can see, there were other games in the series. 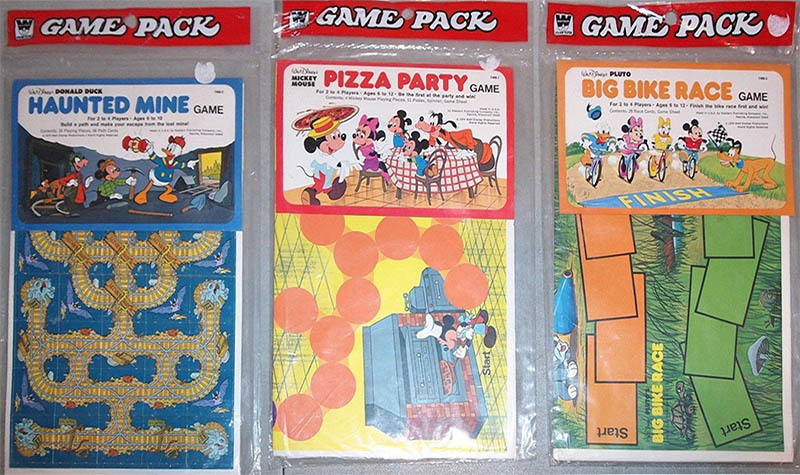 At least the "Pizza Party" was also produced as a boxed game.